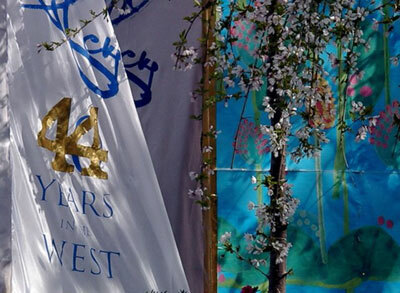 April 13th, 2008, marked the 44th anniversary of Sri Chinmoy’s arrival in the West. Sri Chinmoy arrived in New York, USA on April 13th 1964. 2008, was also the first celebration since Sri Chinmoy’s mahasamadhi in October 2007. To commemorate the arrival of Sri Chinmoy in the West, for many years, disciples have taken part in a 12 hour race walk. I believe in earlier years, Sri Chinmoy himself took part in the 12 hour walk. Many of Sri Chinmoy’s students were in New York for the celebrations. Also, those from other countries who could not travel, took part in events in their own countries. For example, disciples in Mongolia arranged a 12 hour walk, with 45 people participating.